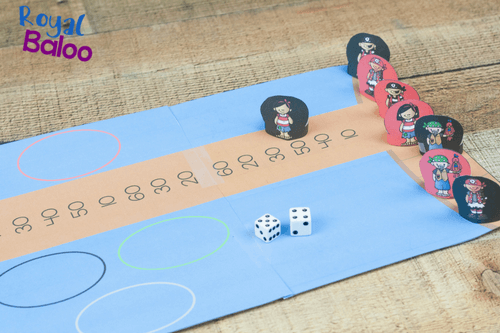 Play a fun pirate rounding game to practice those rounding skills! We are doing our best to make math fun around here and games have been a huge hit! 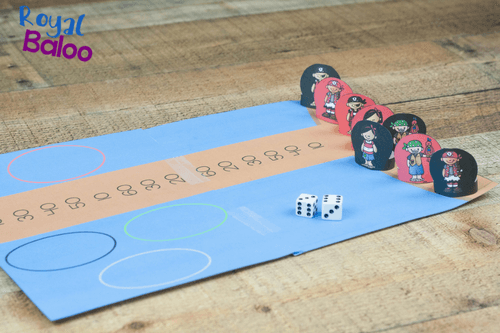 I love making printable games because we can hyper-focus on one skill and then discard of it when we’re done. Welcome to Pirate Week on Royal Baloo! We will have pirate printables all week long. But if that’s not enough – you should make sure to check out 3Dinosaurs.com and JDaniel4sMom.com for even more pirate printables! This game has a fairly easy setup but you’ll definitely want to have the people cut out beforehand! (Side note: I took off the colored circles. They didn’t seem needed when we played and looked kind of tacky). Next, cut out the little pirate people. There are four for each color (each player claims a different color). Tape the two long ends together to make a round base. Then the pirates can stand up on their own. Every player should choose a color (there are four to choose from). 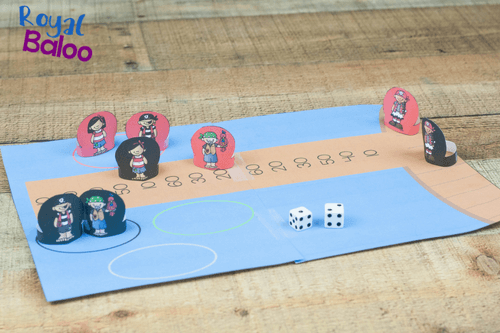 Set all of the pirates upon the ship part of the game board. Choose a player to start (whose name sounds the most like a pirate? Anyone have a peg leg?). On their turn, the player will roll two dice. Put them next to each other and determine ones and tens. Round the number up or down. Then move one pirate down the plank to the rounded number. For instance, if you roll 23, your pirate will move to the first plank with a ‘20’ on it. 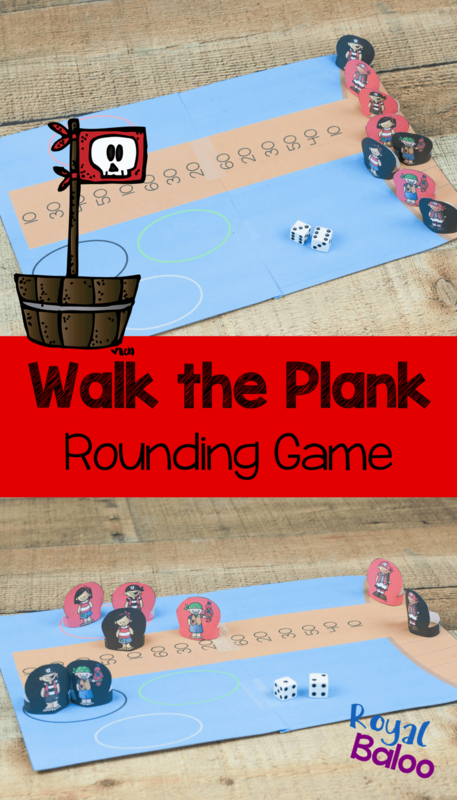 Continue in rounds rolling the dice and moving the pirates down the plank. The pirate must reach the last number before they ‘walk off the plank’. 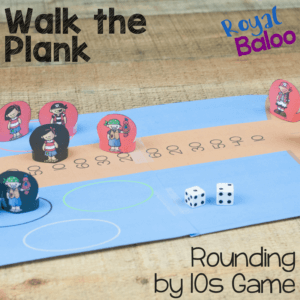 One player may have multiple pirates on the plank at a time. The first person to get all of their pirates off the plank is the winner! Feel free to add house rules to make the game move faster or slower or more entertaining. 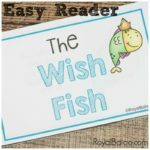 The idea is just to get as much rounding practice as possible!